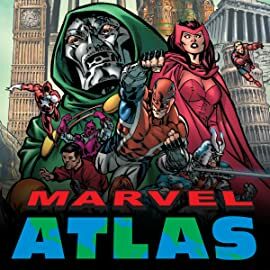 Walk through Marvel's Earth with the first-ever official atlas! 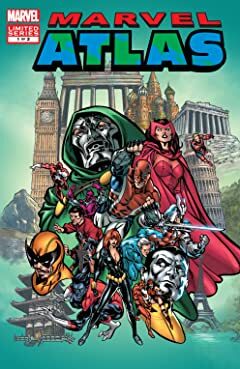 In the first half of this indispensable guide, travel through Europe, Asia and the Pacific with digestible in-depth features including: the splendor of Dr. Doom's Latveria! The wonders of Muir Island! 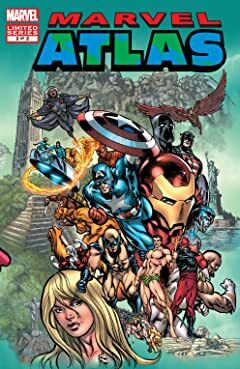 The glory of Silver Sable's homeland Symkaria! The urban squalor of Madripoor! The underwater marvels of Lemuria! From the shores of Ireland to the ocean's very depths, it's all mapped out for you courtesy of handbook legend Eliot R. Brown!